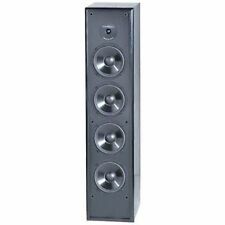 Used and Fully Tested 100% Working - BIC - Venturi DV32CLR 8 Ohm 2-Way Center Channel Speaker. One Small Hole in Grill Cloth see Pics. BIC Acoustech Speakers. BIC Acoustech PL-200 12" 1000 Watt Powered Subwoofer. We proudly introuce the new BIC/Acoustech Platinum Horn Series. 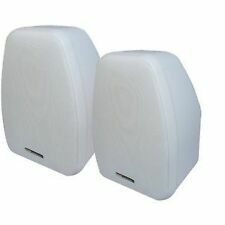 BIC Acoustech PL-980L-PL-980R 3-way Floor Speakers - ONE PAIR. The BIC Formula F-12 powered subwoofer incorporates a high current 475 watt peak amplifier featuring BASH technology in combination with a 12" injection molded long-throw woofer. A patented BIC "Venturi" vent eliminates port noise that is often heard from other subwoofers, especially when playing demanding music and videos. BIC America F12 12-Inch 475-Watt Front Firing Powered Subwoofer. Condition is Used. Good cosmetic and working condition. Pair tested and sounds great. Up for sale is a Beautifull BIC Acoustech PL-28 Center channel speaker in excellent condition. Gently used. This is a good sounding speaker. Can't beat it for the price. This unit has dual 8" drivers and I believe a 1" tweeter enclosed in a 6" horn. 12" long-throw woofer with high-power magnet. Promotes faithful audio reproduction. 24-200Hz frequency response. Line-level input. Enables precise operation. 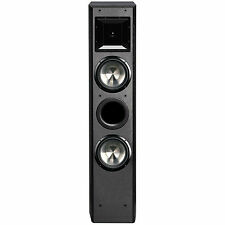 BIC DV-62CLR-S Center Speaker. Condition is Used. Shipped with USPS Parcel Select Ground. The stunningly accurate BIC Venturi 6.5-in. Their long-throw 6-1/2-in. Their patented "Venturi" vents assist in extended low frequency performance. BIC speakers are ideal for use with all surround and music formats. It also features automatic on/off signal-sensing circuitry and high/low level inputs. Finish- Black Laminate. 7 year parts and labor driver, 2 years on amp and associated electronics. Down-firing, long-throw 8" subwoofer with tuned vent. 5 out of 5 stars - BIC Acoustech PL200II Sub woofer NEW MODEL PL-200ii - NEW SERIES! 1000 WATTS! 81 product ratings81 product ratings - BIC Acoustech PL200II Sub woofer NEW MODEL PL-200ii - NEW SERIES! 1000 WATTS! BIC DV62si speakers are ideal for use with all music formats. Surround sound duty poses no problem either. Sold in pairs. 7 year parts and labor. Patented rear Venturi vents produce tight, extended bass. BIC's Venturi V1020 uses a high power BASH amplifier which explodes with 160 RMS watts (350 watts peak) of undistorted bass! A heavy-duty, long excursion 10" woofer moves massive amounts of air to bring the movie to your living room. You're therefore eager to actually have it, see it, and hold it in your very hands. Refurbished Dept (12). What should you be expecting when setting out to browse our website?. Such are the facts and this is what you could and should expect. Dual-voice coil speakers provide inexpensive, "full stereo sound" from ONE single speaker. 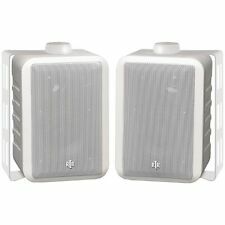 They are a great choice for those on a low budget, or those who prefer only one speaker in a smaller area (ex. ). • 7-year warranty on woofer & 2-year limited warranty on amp & associated electronics. • Down-firing, heavy-duty long-throw subwoofer with Venturi-tuned port & high-power magnet. • Dim: 18.5"H x 17"W x 14"D.
Product Line Acoustech. The state-of-the-art BIC/Acoustech H-100II is no exception. It has an elegant enclosure with hand-rubbed black lacquer on the top and bottom. Hand-rubbed lacquer ensures each cabinet has a deep gloss shine and is more scratch resistant than most lacquer finishes on the market. The state-of-the-art BIC/Acoustech H-100II is no exception. It has an elegant enclosure with hand-rubbed black lacquer on the top and bottom. Hand-rubbed lacquer ensures each cabinet has a deep gloss shine and is more scratch resistant than most lacquer finishes on the market. It also features automatic on/off signal-sensing circuitry and high/low level inputs. Finish- Black Laminate. 100W Max, 100W RMS Built-in Amp Down-firing, Long-throw 8"" Subwoofer. Deep Robust Bass In An 11"" Cabinet. 6-1/2" Injection-molded woofer with heavy duty surround. FH56-BAR speakers can also be used for the three front and the three rear channels in a 6.1 theater system. 5 year parts and labor. Your #1 Source for Audio, Video and Speaker Building Components. Mfr Part #: DV84. RMS Output Power: 250 W. Maximum Frequency Response: 22 kHz. Minimum Frequency Response: 27 Hz. Form Factor: Floor Standing. Color: Black. Weight (Approximate): 45 lb. General Information. 5 out of 5 stars - H100 BIC Acoustech H-100 12" 500 Watt Subwoofer. New! 3 product ratings3 product ratings - H100 BIC Acoustech H-100 12" 500 Watt Subwoofer. New! 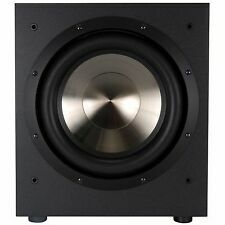 PMPO Output Power 350 W. Driver Type 6.50" Woofer,6.50" Midrange. RMS Output Power 175 W. Product Type Speaker. Product Line Formula. Minimum Frequency Response 40 Hz. Maximum Frequency Response 20 kHz. You can enjoy resonant bass tones since this BIC subwoofer features an expansive frequency response. With a smart design, this powered subwoofer is easy to place and setup, allowing you to reap the benefits of an enhanced sound experience without waiting. Box has wear and tear and has been opened, but speakers are otherwise never used. Very nice quality speakers and sound great. Bought new and never used. New, but product is out-of-box. BIC Venturi V620 Main / Stereo Speakers. Condition is Used. Shipped with USPS Parcel Select Ground. 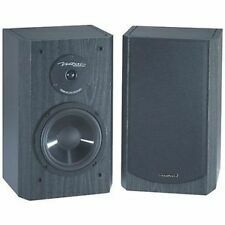 Great audiophile quality speakers! perfect for vinyl fans. Big, natural bass through ported cabinets. Cabs and speakers in great condition! HERE IS A BIC V52 WOOFER IN GOOD WORKING CONDITION. BIC Acoustech Speaker Review. BIC Acoustech Speakers. 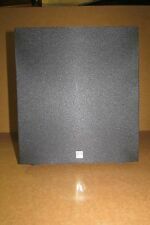 BIC Acoustech PL200 Subwoofer NEW MODEL IS HERE PL-200. H100 BIC Acoustech H-100 12" 500 Watt Subwoofer. This extra step ensures each cabinet has a deep gloss shine that is more scratch resistant than many lacquer finishes on the market. 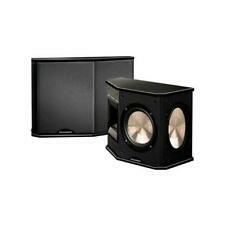 Dual-voice coil speakers provide inexpensive, full stereo sound from ONE single speaker. 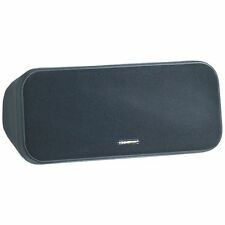 It is a great choice for those on a low budget, or those who prefer only one speaker in a smaller area (ex. hallway, bathroom, closet, etc. ).